Hair fall can be gradual or it can be sudden but it always causes discomfort. While there are many reasons for hair fall, you can actually do something about it. It is never too late. You can get the power back with the help of a hair loss solution from Kaya. You may start to notice that more hair seems to be stuck on your hairbrush when you comb your hair. You may notice general thinning of your hair. Sometimes you won’t notice anything and suddenly the hair starts to fall. You may think it is random and you can go into panic mode due to all this but there is more at play than what meets the eye. When it comes to hair fall, there are a lot of reasons why this happens. It is important to understand that hair fall usually happens gradually and there are many factors that are involved which cause hair fall. 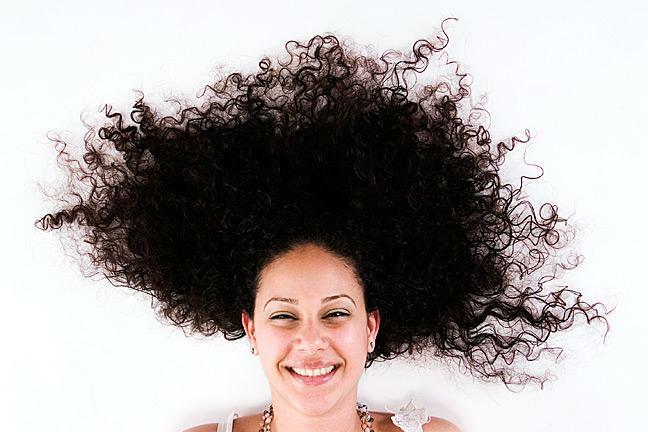 ● Pollution can take a toll on your hair. When you go out into the sun, you should ensure that you are protecting your hair. ● Hormonal imbalance is one of the main causes of hair fall and many women have suffered severe hair loss due to this. ● Aging has been known to cause loss of hair and hair fall gradually. ● Your diet may not be giving you essential nutrients that your body needs. Taking in all nutrients will help your hair health improve. ● Stress has been a root cause of many problems and it also causes your hair to fall. You should ensure that your stress levels are kept to a minimum. ● Various medical conditions can cause hair fall issues to occur. When natural remedies do not work, it is time for a more thorough approach that works to tackle your hair fall problem. You can use Kaya’s expertise in this regard as there is a range of solutions that are available to enable hair growth again. Kaya Clinic does not give you a random solution but clearly understands your hair problem at the root to give you a customized solution that is best suited for you individually. This helps you get the treatment that you need rather than just another treatment for hair fall to add to the list. One of the treatments for hair loss is the hair treatment from Kaya known as the Intensive Hair Root Therapy or IHRT. 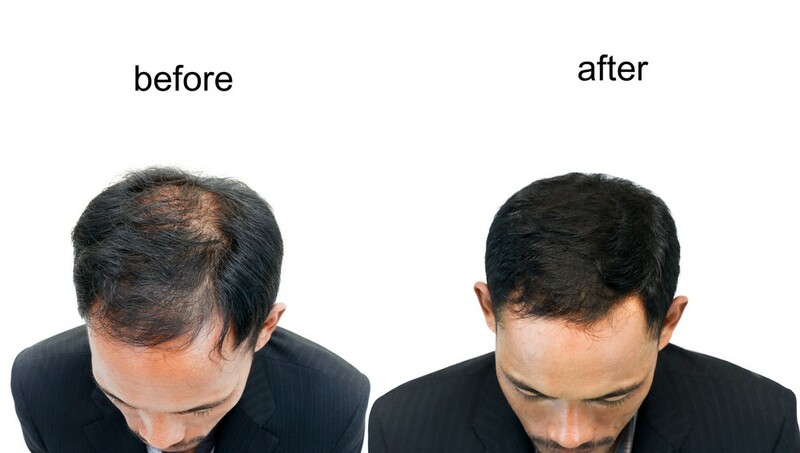 This hair thinning solution is effective for men and women who have been suffering from hair loss. It is a procedure that involves solving the hair loss problem at the root. Nutrients and vitamins for hair growth are supplied directly to the roots of your hair through microinjections. These nutrients allow your hair to grow healthily and ensure that hair fall is gradually reduced over time. You will notice that the quality of your hair improves. The hair fall reduction and the growth of your hair depending on various factors. Some people have experienced hair growth and improvement within a few months after receiving the IHRT procedure from Kaya. For some people who have had more serious hair fall problems, the hair growth has taken longer but the result has been visible. The IHRT procedure from Kaya has been approved by the FDA which ensures it is a safe procedure that you can use for hair growth. Kaya’s hair loss treatment has helped many people grow healthy hair and people have seen a visible decrease in hair fall. Is the IHRT the hair loss solution for you? Kaya will examine your hair and your scalp before giving you any treatments. This is why you need to rest assured that you will get the exact treatment that is suitable for your case of hair fall. You can book an appointment and speak to Kaya’s expert dermatologists who will explain all about hair loss and what treatments you need to reduce your hair fall problems. You will receive all information regarding best practices for maintenance so that your hair growth only improves with time. Here’s holiday season again, before we even know it. This means more get-togethers and meeting all those family members. Activities best reserved for such occasions, as we wind up the old year and get ready to begin the new one. Naturally, you’d want to look your very best and nothing less. Definitely, having any kind of skin dullness or a patchy look on the face can severely affect your confidence during this period. You’ve probably tried all possible ways to get rid of a ghastly pigmentation- now it’s finally time to turn to the experts and see what they have to say. Anything from uneven skin tone that makes you confused about your complexion to dark circles that make you run through your concealer faster than you’d like- Kaya has the solution to all your stubborn pigmentation woes. What Kaya has to offer? Kaya Clinic has long been standing in the Indian and Middle East market as skin specialists that offer you a long-lasting and effective treatment for any kind of skin or hair problems. So of course, your search for that elusive even complexion ends with Kaya. Specifically, the Kaya Chemical Peel treatment. However, before we jump into that, let’s look at pigmentation. It is essentially not a bad thing since your skin turns to pigmentation as a form of protection against the carcinogenic elements in the UV rays of the sun. However, over time this defense mechanism goes into overdrive- for a lot of reasons- diet, age, and overall health. Of course, on the outside, it manifests in the form of dark spots. All of these things can together be said to constitute the different signs of an aging skin or some form of melasma. However, the only way to know which is to get it checked. This is why Kaya is a reliable and trusted source to turn to. With more than enough dermatologists working together with beauticians, there’s no skin problem you can’t find a solution to. Let’s get to the actual product and service that will help you with your issues. A chemical peel is a mixture of multiple mild chemical solutions to be applied on face, neck, and hands. It’s applied and once dry, peels off. It helps with everything from age spots or patchy skin to tanning problems. Of course, the chemical peel takes off a thin layer of the skin as well by causing blisters. The new layer of skin is fresh, cleaner, and much more enriched leaving you looking rejuvenated. It’s a simple procedure which causes mild tingling and lasts no more than 10 to 12 minutes- and because it’s Kaya, you know it’s being performed by a trained and certified professional. The face is treated both before and after treatments and your clinician will advise you on what you should take care of post-treatment. There are three types of chemical peels offered by Kaya. They all differ in chemical composition and treat specific issues. Superficial Peel uses a very mild acid which gently exfoliates only the thinnest topmost layer of the skin. It treats mild discoloration and reduces the appearance of rough skin. 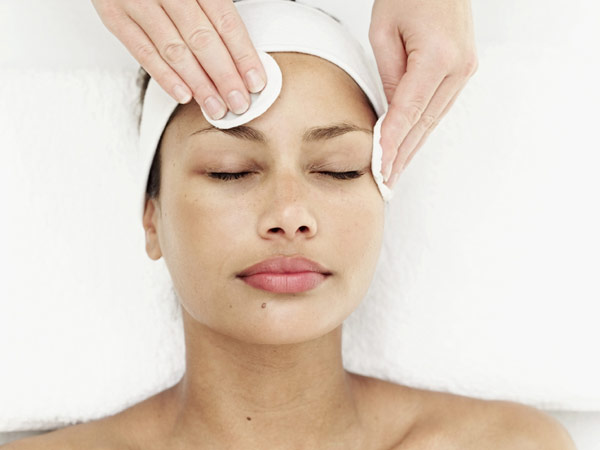 Medium Peel goes slightly deeper and touches the middle layer of the skin as well. This would best target skin tanning since it targets and removes damaged or destroyed cells. Even freckles and age spots can be reduced. Deep Peel is a peel chemical peel that goes past the middle layer even and targets fine lines and shallow scars, even freckles. This chemical peel treatment is only done once and shows dramatic improvements in all skin types. Troubled by the acne scars on your skin, and trying out various suggestions that just don’t work? One of the popular suggestions you get might be to try out specialized acne treatment. However, this alone will not reduce the appearance of prominent scars that linger after acne has healed. A result of active acne breakouts, acne scars are discolored marks that can be extremely difficult to get rid of. Acne is undeniably one of the most common inflammatory skin conditions that affect people of different age groups. This condition occurs when the overactive sebaceous glands produce too much oil that further blocks the hair follicles and lead to inflammation. Even an accumulation of dead skin cells can lead to this kind of blockage and cause different types of acne – pimples, blackheads, nodules, whiteheads, and cysts. These scars are deep indentations that cause permanent textural changes in the skin. You may be able to conceal them with a makeup product, but they only offer a temporary solution to this unsightly skin problem. However, for best results, it is wise to opt for a treatment for acne scars that can accelerate the healing process and reduce the visibility of the scars. First and foremost, it is imperative to reduce acne to ward off further scarring. Then, you can try using a trusted pimple marks removal cream that can gradually make the scars fade away and help you achieve an even skin tone. However, it is essential to know that the treatment for this troubling skin condition varies from person to person depending on the skin type and the type of acne scars (boxcar, ice pick, rolling). You may require laser skin resurfacing treatment and advanced anti-scarring products to bring a visible difference in the appearance of these scars. Choose Kaya Advanced Acne Skin Care kit for daily use. This remarkable kit comprises of four different types of skin products that can not just help you reduce acne scars but also make sure that your skin pores stay clean and clear. Keeping the pores clean is a great way to prevent your skin from breaking out. Whether you are troubled with pimple marks or open pores, this acne care kit is perfect for you. The four products in this kit are – purifying cleanser, purifying toner, purifying nourisher and spot corrector. Using these products in the right order is crucial for attaining prominent results. So, clean your face with the cleanser that contains salicylic acid as the main ingredient, then follow up by applying the non-alcoholic purifying toner that for a toned and well-exfoliated skin. Next, you should put on the purifying nourisher that helps improve your skin’s texture by making it soft and supple. Complete the process by applying the spot corrector on troubled areas to speed up the healing process. The acne scar treatment at Kaya Clinic involves a cosmetic procedure that is used worldwide for its effectiveness in diminishing the visibility of acne scars. In this treatment, a laser is used to tackle the damaged skin cells on each layer and remove them. In this rejuvenating method, an intense light beam is used that can effectively repair your skin whilst thickening the collagen in the skin. The skin resurfacing treatment can bring a world of difference to the appearance of your skin by improving the skin tone as well as promoting its elasticity. If you are troubled by the presence of acne scars on your skin, then do not just try camouflaging them with concealers and foundation, as over-usage of such products can exacerbate the problem. Instead, just consult with the experts at a trusted skin care clinic like Kaya and get a treatment that is best suited for your condition. No More Dry Skin This Winter with These Great Solutions from Kaya! Winter is harshest on your skin. With the drop in humidity levels and cold weather, your skin is the one that suffers silently. Skin hydration is the need of the hour but it becomes increasingly difficult in winter. Your dry skin not only looks bad but feels bad too but there is a solution to overcome dry skin in winter. If you already have dry skin then you are aware that winters have no mercy on your skin. While you may love the relief that winter brings, your skin does not share the same thoughts. You must have seen your skin starts to become dry and you may even develop other skin problems that refuse to go away. Your skin can become rough when you touch it. You may see that patches start to develop on your skin and you may even notice that cracks are starting to appear on your skin. Hydration of your skin is the most important part but in winters sometimes even the best products fail to show the effects that they are supposed to. Does that mean that you should give up altogether and think ‘this too shall pass’? Of course not! Winters can actually cause some pretty serious problems to your skin. When you feel that your skin is becoming dry or it is not hydrated enough, it is better to start taking care of it right away. This will ensure that the problem does not escalate into something bigger and other skin disorders. You want to avoid all that! So how do you go about taking care of your skin during winters? Remember that you need a different skin care routine during winter than the one you used in summer. The following skin care tips ensure that you have a wonderful winter with supple and soft skin. ● You must dedicate time and make a proper routine to take care of your skin. You should start bathing in warm water instead of using water that is too hot. Hot water dehydrates your skin which can take away the moisture that is required. ● Make changes to your diet during the winter. You want to increase the amount of water that you drink during winters. You can easily become dehydrated without realizing. This is why you should increase the water intake and avoid other drinks such as coffee and sodas. ● You need an excellent moisturizer to take care of your skin on your body and your face. As you know the skin on your face is more sensitive and requires greater care than the skin on your body. But you need to ensure that you regularly moisturize both during the winters for best results. You must be wondering with so many moisturizing creams and lotions in the market, which should you choose? Want to choose the best? Then choose Kaya’s products: Anytime Moisturizing Cream and Intense Hydration Body Lotion are your best bet! These are perfect for your winter skin care regimen as they provide the moisture that your skin needs during winter. You will begin to notice your skin is softer, tighter and your skin tone is even. The Anytime Moisturizing Cream by Kaya is made with Shea and Kokum butter. These special ingredients give your skin the smoothness you need during winter by hydrating it. This everyday use cream ensures water retention is optimal. The Intense Hydration Body Lotion ensures your skin feels good all the time. Apply it daily and see the results for yourself. The moisturizers have a non-greasy formula as they absorb in your skin perfectly giving your skin the protection it needs during winter. 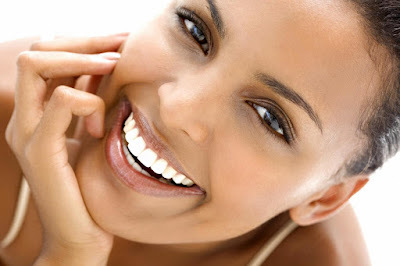 You can consult Kaya skin care specialists for a thorough examination of your skin if you want. They give you personalized answer to your skin queries. 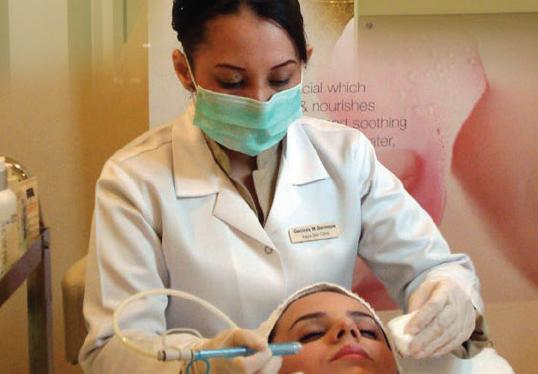 Kaya has expert dermatologists who ensure that you know how to take good care of your skin. As Kaya clinic has some of the best skin care products in the country, it is relieving to know that Kaya’s experts can help you find the solution that will work wonders for you. Clogged pores are at the root of a variety of skin ailments such as acne, a rather common problem that most people are in a constant battle with. If you are experiencing regular breakouts, then a simple acne treatment may not suffice as you may have to treat clogged pores, an underlying cause for acne. Clogged pores occur when oil (sebum) produced by your skin’s sebaceous glands and dead skin cells get trapped in the skin pores, the tiny openings on the surface of your skin. This, in turn, leads to acne breakouts, that can wreak havoc in the appearance of your skin. Though this skin issue can affect any type of skin, it is found to be more common among individuals who have oily or combination skin type. If you have any of these skin types and are experiencing acne breakouts, then there is a high chance that the breakouts are a result of clogged pores. And, in order to tackle acne, you will have to take proper measures to treat clogged pores. There are a plethora of factors that can cause the impurities to get accumulated in the pores. Some of the most common factors are toxins in the air, lack of proper hygiene like touching your face with dirty hands, sweat and use of makeup. That’s correct, your makeup can be the reason why there is a build-up of impurities in the pores that cause your skin to break out. How Can Makeup Cause Clogged Pores? Makeup products like foundation and concealers help you camouflage the prominent pimple marks and spots and attain a brighter complexion. However, using makeup can also adversely affect your skin’s health and an appearance by making it susceptible to various troubling skin conditions like clogged pores. This further leads to acne, a long-term inflammatory problem. Nowadays, a majority of makeup items are loaded with harsh ingredients like silicone, mica, zinc oxide, facial oils. Though these are the common culprits, there are many other chemicals that can lead to the unpleasant clogged pores problem. That is the reason why you should maintain caution while buying makeup. If you have acne-prone skin, then it is best to buy makeup items that have ‘non-comedogenic’ stated on the label. Furthermore, make it a habit to purchase makeup that is specially formulated for your skin type to prevent the skin pores from getting blocked. The internet is chock full of information about remedies that can be used for treating clogged pores and keeping acne at bay. However, if you need a treatment that is both effective and safe, then you should consult with the skin care specialists at Kaya. From best cream for pimples to treatment for acne scars, Kaya clinic offers a wide array of skin care products and services that can help improve your skin’s appearance. Kaya’s Advanced Acne Care Kit is considered to be highly effective in treating clogged pores. The products in this kit can cleanse open pores and prevent a build-up of dirt and oil. It offers a 4-step solution that can bring a huge difference in the condition of your skin by keeping the pores clean and clear. In total, there are 4 items in this exceptional acne care kit. A cleanser, toner, nourisher and a spot corrector. You will have to start with the cleanser. It gets into the deep layers of the skin and removes impurities, dead skin cells, and sebum from the pores. Pat your skin dry and apply the toner which acts as an exfoliating agent and unclogs the skin pores. After using these products, you will have to gently apply the purifying nourisher to the skin. It will soften your skin’s texture and make it smooth. At last, smear the spot corrector on the area affected by acne to not just reduce the inflammation but also to lighten the scar. By using this kit on a regular basis, you will be able to deal with these unpleasant skin problems. By using proper makeup items and this Advanced Acne Care Kit by Kaya you will be able to keep the pores clean and clear. Take these measures to improve your skin’s health and appearance. Pollution can be more damaging to the skin than many people realize. But sitting back and not doing something until something big happens is not the best way to go about it. There are toxic gases and other factors that pollute the environment you are living in. But you have the choice of following a skincare routine that will safeguard your skin and its gorgeousness. You can’t sit at home all day. You have got to move at some point. This is why sitting at home is not the solution to avoid pollution and its adverse effects on your skin. Pollutants are everywhere as they are part of the air. No matter how much you try to avoid it pollution will get you and it will have a negative impact on your skin. The question is what are you going to do about it? You can follow a strict regimen if you don’t do so already. This will ensure you take proper care of your skin, which is crucial for your skin’s health. Research has found that there is a correlation between pollution and skin problems which is why you need to start taking preventative measures as soon as possible. You just cannot delay any longer. The following tips will help you save your skin from getting damaged any longer. ● Always treat your skin gently. You don’t want to rub or massage it too much as that can cause skin irritation. You must pat dry whenever you have washed your face. ● You need to cleanse your skin thoroughly with wipes. This will help remove any dirt caused due to pollutants and other harmful bacteria from the surface of your skin. ● Pollution can strip your skin from moisture which is why investing in a moisturizer is a great idea. You need an everyday moisturizing cream so your skin is always hydrated and soft. ● When you step out into the sun, you need to protect your skin from the UV rays such as UVA rays and UVB rays. The sunscreen helps to protect against skin issues as well. ● You should clean your skin in the morning after you wake up and at night before you go to bed. This ensures your skin is always clean. Kaya is aware of pollution and its impact on your skin. Kaya clinic is a leader in the skin care and beauty services sector, which is why Kaya’s range of products can help you stay protected from pollution always. You can use Kaya Everyday Cleansing Wipes which are gentle on your skin and ensure that your skin has been cleaned completely. These wet wipes are handy as you can easily carry them wherever you want and get clear skin in a jiffy. The wipes have aloe vera goodness which gently cleanses your skin while being gentle at the same time. Kaya’s Anytime Moisturizing Cream can be used to ensure your skin does not become rough and dry. The hydrating formula absorbs in an instant into your skin and moisturizes from within. The formula is light and it won’t show. You can apply this cream during the day or at night to hydrate your skin. It helps protect against pollutants and other damaging agents. If you step out of your house then a sunscreen is a must-have. A sunscreen can protect your skin from the most harmful UV rays and can save you from pollution too. Kaya’s Daily Use Sunscreen is a broad spectrum sunscreen that maintains your natural skin tone and ensures you don’t get tanned when in the sun. It is a fantastic product that can be used every day. The Kaya skin care routine is more than simply giving you solutions to protect your skin from pollution. When you book your appointment with Kaya, you learn so much more. You learn about your skin, how you can take care of it, and what treatments are best suited for you if required. You get a holistic solution to ensure you look your best!